Thailand has a fully functional but multileveled Judicial Court System. Citizens of United Kingdom and more than 20 other countries which utilize the Westminster Type may find it as somewhat familiar but the system currently utilized by Thailand should not in any way be misconstrued to function on the same manner as the British system. Furthermore, the decisions in the Thai system only come from the wisdom of the Judges or the Justices as it does not operate with the assistance of a panel of jury like the United States. The Supreme Court – it is the highest court in the land in which all of its decisions are final and executory. It hears appeals or contests against the decision of the Courts of Appeal, the Regional Courts of Appeal or the Courts of First Instance, which their descriptions will be discussed later on this article. The Supreme Court of Thailand is a separate entity therefore functions separately from: the Constitutional Court which decides whether a particular law, rule or regulation is constitutional or not; the Administrative Court which hears disputes against a private individual or entity against a government entity or disputes between a government entity against another government entity; or the Military Court which hears cases against a military personnel who committed a crime against other criminal laws or the military law. The Court of Appeal – this division hears appeals on the decisions or order of both the Criminal and Civil Courts. The Regional Courts of Appeal (1-9) – these courts hears appeals on the decisions or order of the other Courts of First Instance. With this, the Courts of Appeal (both the Court of Appeal and the Regional Courts of Appeal) are mandated to affirm, correct, reverse or dismiss the decisions, to exacting of a death penalty or life imprisonment that are rendered unto the respondent by the Courts of First Instance and also to resolve cases that other laws have mandated them to. Even if the decisions or orders that are subject to appeals were handed by the Regional Courts of First Instance, the appeals of these will still take place in Bangkok as the Regional Courts of Appeal are located in the capital with the exception of Court of Appeal Region 2 which is located in the Rayong Province. 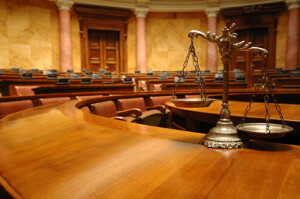 General courts are ordinary courts that decide and adjudicate Civil and Criminal cases. The Civil Courts, Criminal Courts, Provincial Courts and the Kwaeng Courts of Bangkok and that of the Provincial Courts also have distinctions.